The summer season is the perfect time to catch up on all those books you’ve saved to your Amazon wish list since you put “read more books” in your New Year’s Resolution. We caught you! My mom and I have put together this list of some of our favorite books from our collective bookshelves. Some are perfect for the beach, while others are intended to help your business grow. Some are good for both! Can you guess who picked out which books? Whether you’re traveling this summer or staying local, these 10 books can help you get a jump start on the second half of the year. 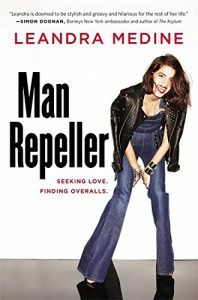 Leandra Medine is laugh out loud funny! Seriously, I burst out laughing several times while reading this book (on an airplane of all places) but the weird looks from the passengers were well worth it. Showcasing the singular voice that has won Leandra millions of fans, this book is a collection of awkwardly funny experiences, a sweet love story, and above all, a reminder to celebrate and embrace a world made for women, by women. Whether in real life or fiction, I love to celebrate smart women. Nothing makes me happier than reading each and every one of the books from Alexander McCall Smith’s No. 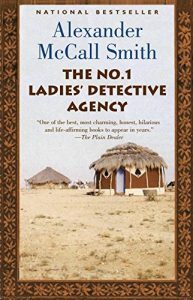 1 Ladies’ Detective Agency series. I love the life and business lessons I get from the musings of Precious Ramotswe and Grace Makutsi. I just wish I could sit down with them and share a cup of their red bush tea! Featuring vibrant hand-lettering and images that have attracted a large following for her stationery and textile line in boutiques across the country, Meera Lee Patel’s uplifting book presents supportive prompts and exercises along with inspirational quotes to encourage reflection through writing, drawing, chart-making, and more. I hope you already own this book! Gary is an incredible resource and visionary, and the insights he provides in his latest book are thought provoking. It showcases the most useful and interesting questions Gary has addressed on his show, and presents practical, timely, and timeless advice on marketing, social media, entrepreneurship, and everything else you’ve been afraid to ask but are dying to know. Whether you’re planning to start your own company, working in digital media, or have landed your first job in a traditional company, #AskGaryVee is your essential guide to making things happen in a big way. This book by Garr Reynolds is my go to resource on creating a successful presentation. For 15 years, I was in the Information Technology (marketing) world. I picked up the bad habit of cramming tons of technical content and graphs into my PowerPoint presentations. It worked fine for a knowledgeable tech audience. But when I moved to a career in teaching, I found my super dense charts were not communicating effectively at all. Presentation Zen guided me on how to improve them for maximum impact with non-technical audiences. I never knew there was actually a science to creating great slides. I really appreciate the case studies that Nancy Duarte’s book provides. One simple but profound tip I picked up: check out your competitor’s materials. You certainly want to be sure you’re distinct from them! The Master Strategy Planner is an essential guide for strategic business, project and profit organization. 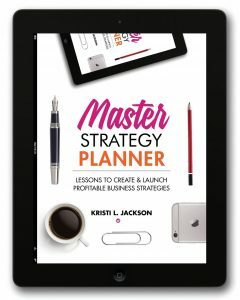 Kristin L. Jackson’s guide will help you to build your business’ foundations by answering key questions that will get you focused on your core business to do’s. 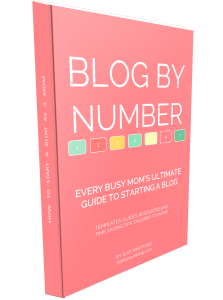 Suzi Whitford’s book is perfect for you if you’re a busy mom who wants to start a blog. For those who only have an hour here or there to work on a side hobby, Suzi also provides a Google Docs Blogging Workbook included with this ebook to help you progress through the steps of starting a blog. For the moms who want to share their voice with the world but are too fearful to start a blog because it is too ‘technical’ and takes too much time, get Suzi’s book! 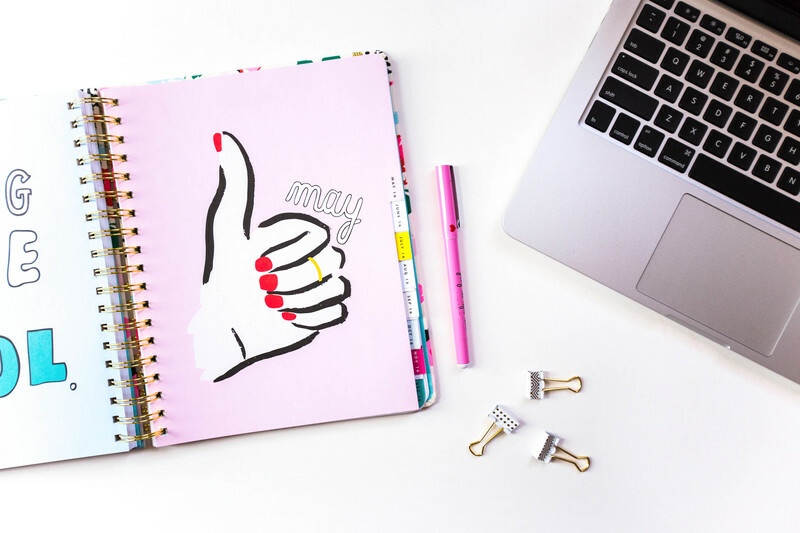 This planner only has a few pages of reading, but there’s no time like the present to plan out your blog content for the year. I adore Regina Anaejionu from byRegina, so I just had to pick up her one-year planner. This planner has been immensely helpful for me for scheduling out our blog posts, promotions, and campaigns. The layout is very friendly on the eyes and there’s plenty of room for notes. Also included is a mini blog business plan, ideal reader survey, monthly theme planning, and monthly content planning. Most importantly, I love supporting another women-led small business! 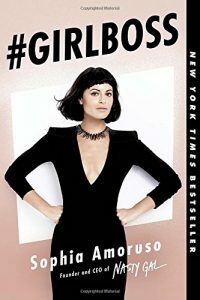 Sophia Amoruso’s book proves that being successful isn’t about where you went to college or how popular you were in high school. It’s about trusting your instincts and following your gut; knowing which rules to follow and which to break; when to button up and when to let your freak flag fly. Disclaimer: In our ongoing effort to be fully transparent, we wanted to let you know that some of the links above are affiliate links. As a reminder, we only recommend things we’ve used and love! Thank you for your ongoing support at no additional cost to you. Having trouble keeping up with all of the insightful and engaging Facebook groups you've joined? Or not sure which groups are worth your time to join? Download our spreadsheet with 65 of our favorite Facebook groups & a weekly schedule detailing their daily prompts and promo days. Perfect for bloggers, entrepreneurs & small biz owners! Lucy Briggs is an entrepreneur, social media marketing specialist, and co-founder of Brand Marketing Tips and Briggs + Briggs Marketing Services. You read my kind of books. I just added a couple of them to my books to read list. Thank you for sharing your reviews. I need to get my reviews together June before it’s over. Thank you, Crystal! Let me know which ones you end up picking out. Great suggestions! 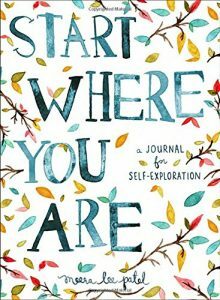 I want to check out the ‘Start Where You Are’ interactive journal! Thanks for sharing! You’re most welcome, Ashley! I’m really enjoying the journal so far. It’s gorgeous, and the prompts are inspiring as well. You’re most welcome! #GIRLBOSS is a fantastic read! She’s so down to earth and relatable. Thanks for the book ideas! There are several on here I can’t wait to read! 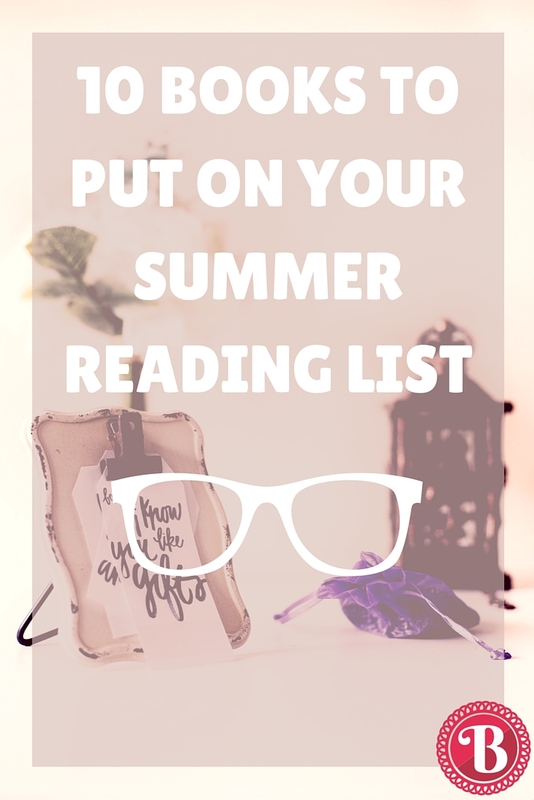 I needed summer reading ideas! These all sound great and interesting, and I think some of them could be pretty helpful for me. I’ll have to bookmark this. Thanks for sharing! I’ll have to add a few of these to my list. I’m starting my 8th book this year but it’s a murder mystery series, I’m thinking I need something that’s helpful. We like murder mysteries ourselves but we know you’ll enjoy one or more on our list. If you have a favorite on your end, please send it along. Thanks so much Leslie for sharing your thoughts. Happy 4th! Thanks Francesca! This is Miriam and I’m half way through Girl Boss myself. I sometimes listen to my daughter’s suggestions. Uh-oh Lucy is going to kill me now…lol. Enjoy and have a great summer of reading. I’ve been in search of new books to read, and I love that all of these will also help with my career. I read Girlboss and LOVED it! Hi Jasmine, it’s Miriam. We’re glad you enjoyed it! I’m actually half way through it myself on Lucy’s recommendation. All the best and we look forward to having you as part of the brandmarketingtips.com community. Have a great summer. I have heard a lot of things about girl boss. Will pick this up. By any chance, have you read any Indian authors? Hi there! We hope you will like Girl Boss. I have read numerous Indian heritage authors. One of my favorites is Jhumpa Lahiri. I’m a bit biased because she and I both share the same alma mater, Barnard College. About six years ago, I had the chance to visit Mumbai and Bangalore. I’m looking forward to going back. I’ve included some links to Jhumpa’s books. Look forward to hearing what is of interest on your end too. Thanks for reaching out to us! Thanks Sue for checking out the post. We know you’ll enjoy all of them. Have a great summer!